I’ll be the first to admit that the Nut Brown at Alesmith is a solid beer but doesn’t really impress me. 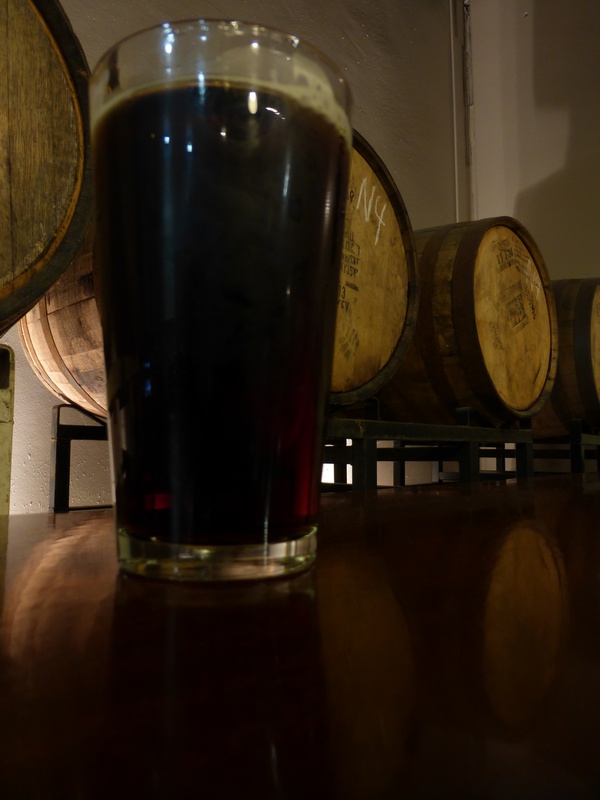 I have learned though that it is never a good idea to pass up a chance to try a barrel aged version of a beer even if you are not a big fan of the underlying beer. Most of the time this means the beer is aged in a bourbon barrel. This gives most beers a hint of bourbon flavor, and so works really well with brown ales and ambers. I was so impressed by the flavor of this beer that I had two pints. Usually the beers I enjoy are so strong that this is not possible without stumbling out on the street but since this is only 5% I really enjoyed having two pints. The bourbon flavors are relatively mild with this one so that it does not overpower the flavor of the nut brown. If you stop by the brewery and see this available, be sure to order at least a taster so you can see if this is the beer for you. 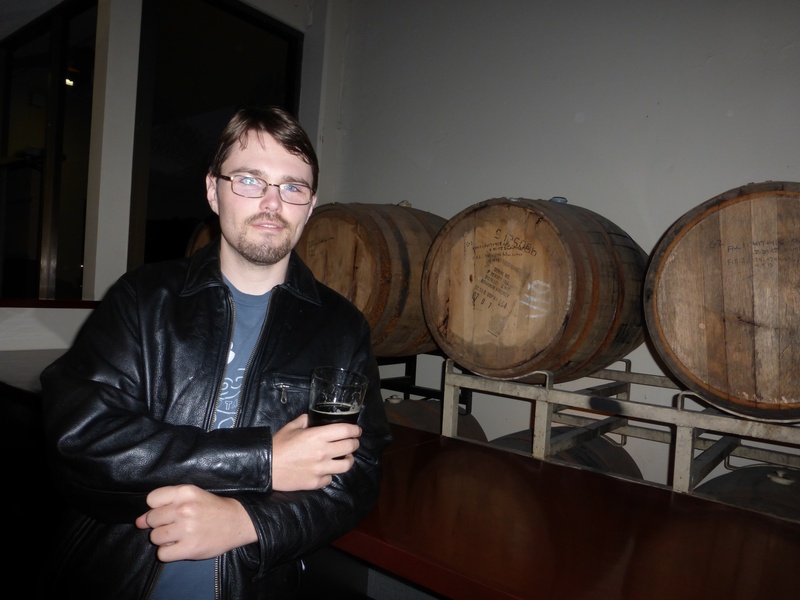 Me enjoying some barrel aged Nut Brown. 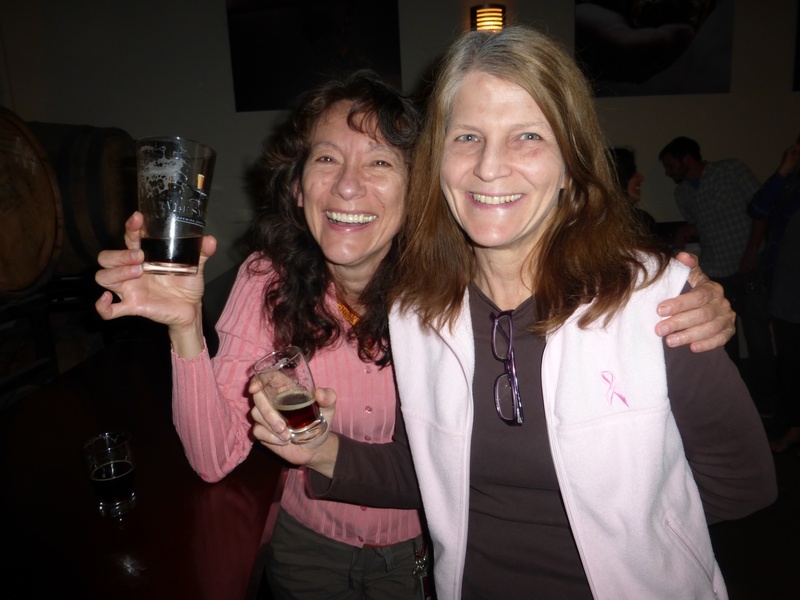 My mom and her friend Ana enjoying some Alesmith beers.